A beam of 16.5 metres allows it to pass through the Volga Don canal. 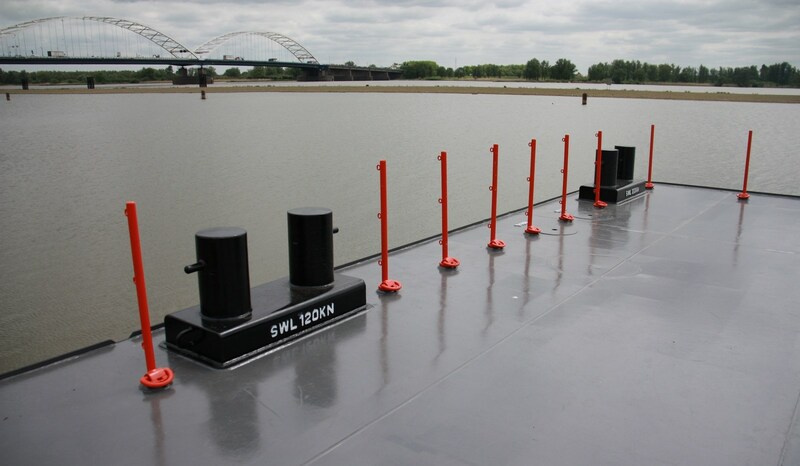 Easy to use ramp panels make Stan Pontoons ideal for RoRo operations. Fit for a wide range of working environments due to standardised design and build techniques and a range of predesigned options. Extra bollards can be placed on every section. Stan Pontoon series’ B11 and B13 have prepared integrated spud pole construction. 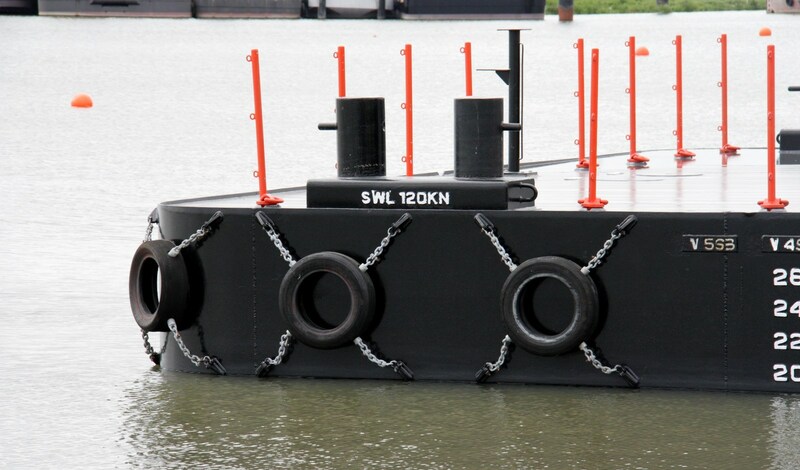 Integrated lifting eyes make Stan Pontoons very flexible to transport. 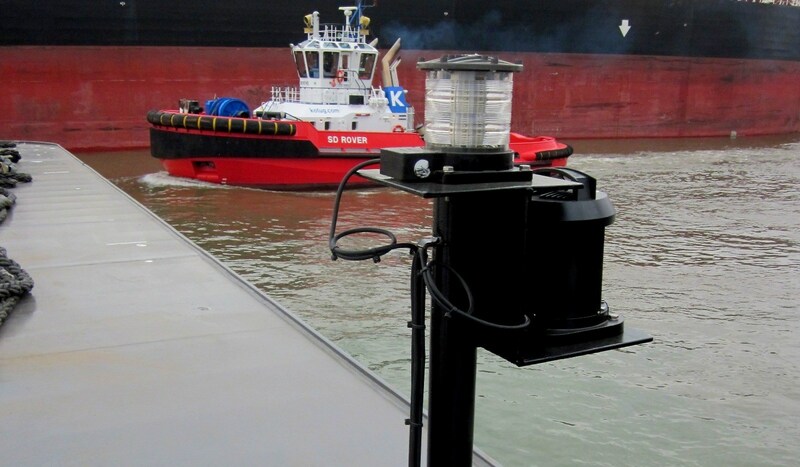 Optional navigation lights compliant with standards for international towage. 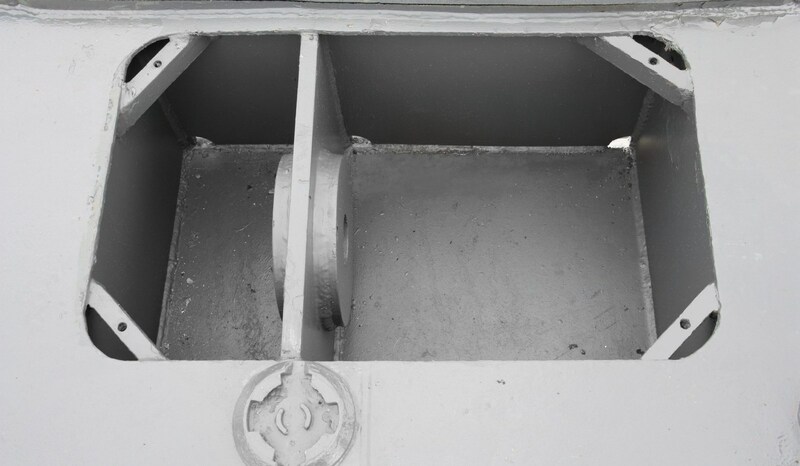 Every Stan Pontoon has an integrated emergency towing pin as standard. Stan Pontoon 6316 "Riverstar 2"
In June 2013 in the port of Rotterdam the ‘HHL Lagos’ loaded on board the Stan Pontoons 'Damen Riverstar 1 & 2'. Damen Stan Pontoons are continuously being optimised for design and construction by both Damen’s own research department and renowned institutes like MARIN. 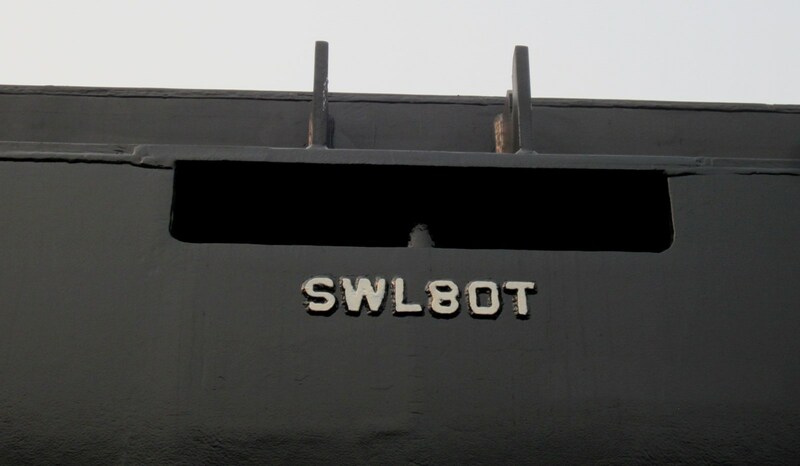 A key focus is to use less steel without compromising any important ship characteristics like strength and load capacities. Another goal is to optimise the hull shape so that the pontoons are as fuel efficient as possible when under tow. Computational Fluid Dynamics (CFD) analysis and model testing techniques are used for the verification and optimisation of hull shapes. Finite Element Analysis (FEA) is used for the structural analysis and optimisation while 3D engineering facilitates the routing and lay out of all the components. Specialised design calculations are performed in-house by our extensive and experienced research department and verified by real time data derived from scale model trial tests. 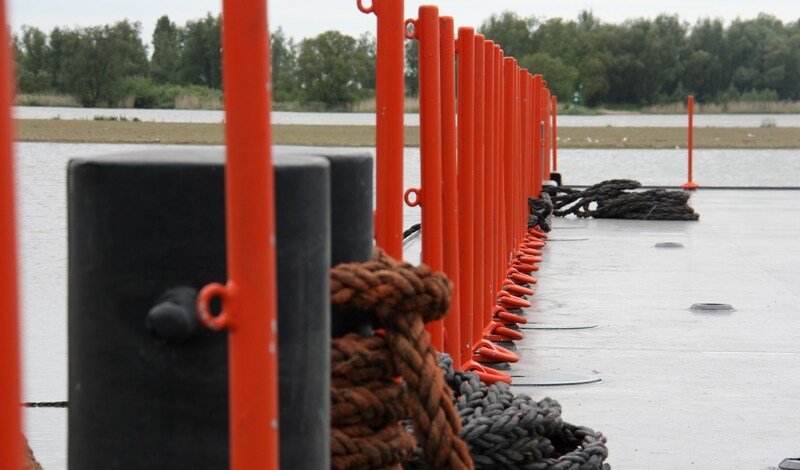 All Damen pontoons and barges incorporate the most state-of-the-art solutions for corrosion prevention. All steel parts are well rounded, there are no sharp corners and welding is done without overlap or undercutting. All areas are closed and easily accessible for preservation and maintenance. 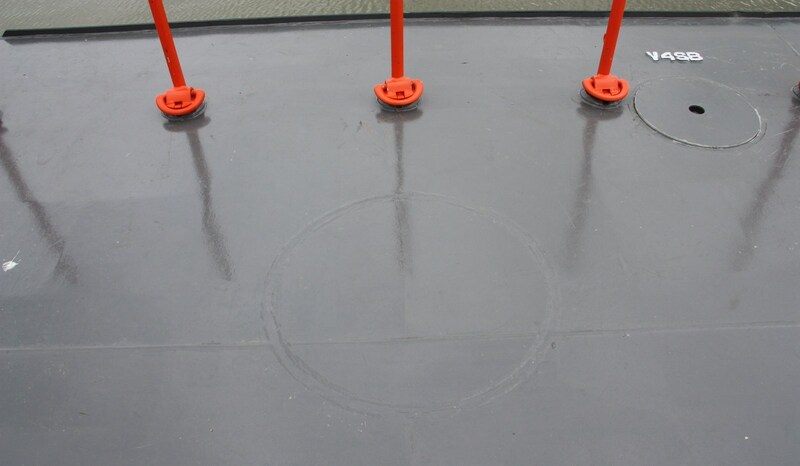 The decks are smooth and bevelled, making them easy to paint and clean, and a top quality International Paint system is used. Our team works continuously to improve all our vessels, making them faster, quieter, more cost-efficient and more environmentally-friendly. Many years of research have also led to some truly pioneering designs such as the Enlarged Ship Concept and the Sea Axe.